Iași also referred to as Jassy or Iassy) is the second largest city in Romania, and the seat of Iași County. Located in the historical region of Moldavia, Iași has traditionally been one of the leading centres of Romanian social, cultural, academic and artistic life. The city was the capital of the Principality of Moldavia from 1564 to 1859, then of the United Principalities from 1859 to 1862, and the capital of Romania from 1916 to 1918. Known as The Cultural Capital of Romania, Iași is a symbol in Romanian history. The historian Nicolae Iorga said “There should be no Romanian who does not know of it”. Still referred to as The Moldavian Capital, Iași is the main economic and business centre of the Moldavian region of Romania. In December 2018, Iași was officially declared Historical capital of Romania. 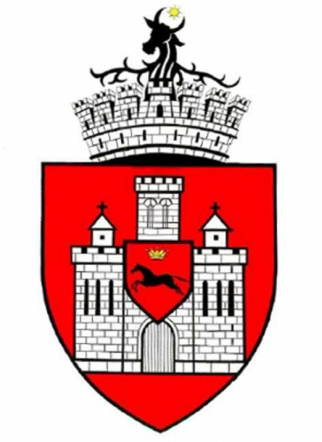 At the 2011 census, the city proper had a population of 290,422 (making it the fourth most populous in Romania at the time). With 474,035 residents (as of 2015), the Iași urban area is the second most populous in Romania (after Bucharest), whereas more than 500,000 people live within its peri-urban area. The first newspaper in Romanian language was published in 1829 in Iași and it is in Iași where, in 1867, appeared under literary society Junimea, the Convorbiri Literare review in which Ion Creangă’s Childhood Memories and the best poems by Mihai Eminescu were published. The reviews Contemporanul and Viața Românească appeared in 1871, respectively in 1906 with great contributions to promoting Romanian national cultural values.Many great personalities of Romanian culture are connected to Iași: the chronicler Nicolae Milescu, the historians and politicians Mihail Kogălniceanu and Simion Bărnuțiu, the poets Vasile Alecsandri and George Topârceanu, the writers Mihail Sadoveanu, Alecu Russo, and Ionel Teodoreanu, the literary critic Titu Maiorescu, the historian A.D. Xenopol, the philosophers Vasile Conta and Petre Andrei, the sociologist Dimitrie Gusti, the geographer Emil Racoviță and the painter Octav Băncilă, only to name a few. First memorial museum from Romania opened in Iași in 1918, as the Ion Creangă Memorial House, and today the Iași Romanian Literature Museum owns fourteen memorial houses. The Mihai Eminescu Museum, situated in Copou Park, is dedicated to the great poet’s life and creation; other museums are dedicated to: Dosoftei, Mihail Kogălniceanu, Vasile Pogor, Nicolae Gane, Petru Poni, Mihai Codreanu, Mihail Sadoveanu, George Topîrceanu, Otilia Cazimir, Radu Cernătescu, Cezar Petrescu, Dimitrie Anghel. The Natural History Museum, founded on 4 February 1834, is the first museum of this kind in Romania with over 300,000 items, the most valuable being the collections of insects, mollusc, amphibians, reptiles, birds, plants and minerals. Four other museums are located in the Palace of Culture: with its roots dating back to 1860, the Iași Art Museum is the oldest of its kind in Romania, and, with more than 8,700 works (many of them belonging to the universal patrimony), has the largest art collection in the country; the Moldavia’s History Museum, offers more than 48,000 objects from various fields, archaeology, numismatics, decorative art, ancient books, documents; the Ethnographic Museum of Moldavia owns more than 13,000 objects depicting the Romanian advance through the ages; the Science and Technology Museum’s collection has more than 11,200 objects in five distinct sections and one memorial house. The Vasile Alecsandri National Theatre, opened in 1840, is the first National Theatre in Romania. The building, designed according to the plans of the Viennese architects Hermann Helmer and Ferdinand Fellner, was raised between 1894 and 1896, and also hosts, starting 1956, the Iași Romanian National Opera. The first institute of higher learning that functioned on the territory of Romania was Academia Vasiliană (1640) founded by Prince Vasile Lupu as a “higher school for Latin and Slavonic languages”, followed by the Princely Academy in 1707. The Physicians and Naturalists Society, founded in Iași, has existed since the early part of the 19th century, and a number of periodicals are published. One of the oldest medical universities in Romania, founded in 1879, is located in Iași. It is now known as the Grigore T. Popa University of Medicine and Pharmacy. In 1937, the two applied science sections of the University of Iași became departments of the newly created Gheorghe Asachi Polytechnic School. In the period before and after World War II, the later (renamed Polytechnic Institute in 1948) extended its domain of activity, especially in the field of engineering, and became known as Gheorghe Asachi Technical University in 1993. Ion Ionescu de la Brad University of Agricultural Sciences and Veterinary Medicine – one of the oldest schools of its kind. There are also some private higher education institutions including Petre Andrei University, the largest private university in the historical region of Moldavia. As of 2016, Iași has 74 public schools, coordinated by the Iași County School Inspectorate. The city is also home to 19 private schools. Iași Science Festival is a week long festival organised every year in April (starting 2013) for high school and grade school students to get be able to observe and take part in scientific experiments and be given detailed tours of the scientific and technical universities and research labs in Iași. Over 200 experiments were performed and over 10,000 students took part in the 2014 edition, from throughout the Moldavia region.